This page has been viewed about 260 times. The building is what's left of an ammunition store from WWII. It originally had a corrugated iron roof - you can still see tiny scraps of it on the floor. 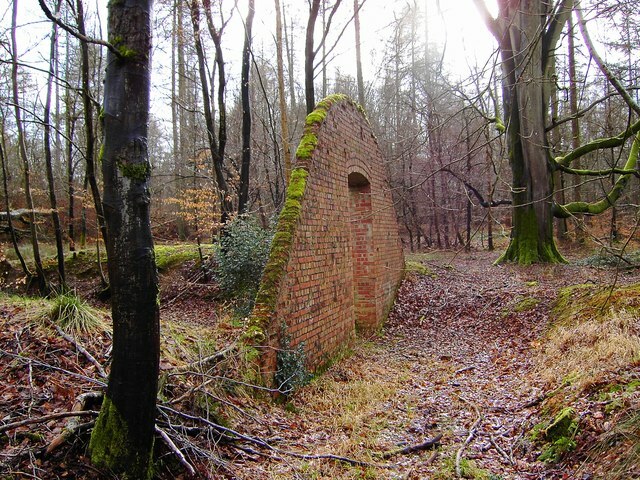 The forest canopy was useful to hide ammunition stores from enemy surveillance planes - similar use was made of Harewood Forest and the New Forest.